Friends is the sixth album by American R&B group Shalamar, released in 1982 on the SOLAR label. 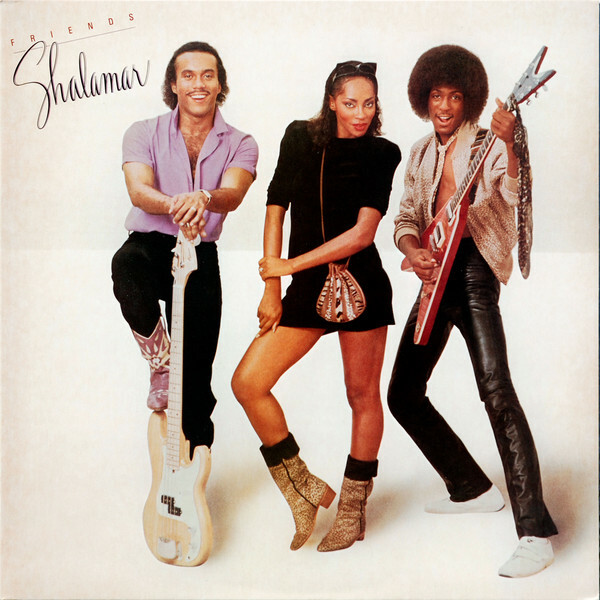 The album, which features the ‘classic’ Shalamar line-up (Jeffrey Daniel, Howard Hewett and Jody Watley), topped the R&B chart and peaked at #35 on the Billboard chart. In the United Kingdom Friends gained impetus from a now-legendary demonstration of body-popping by Daniel during a performance of “A Night to Remember” on the BBC programme Top of the Pops. It reached #6 on the UK Albums Chart and produced four top 20 singles. In 2002, Friends was re-released by Sanctuary Records in the United Kingdom in a double-CD package with Shalamar’s previous album Go for It.